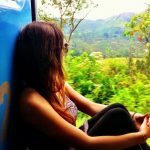 Quick Guide On Translation In Tamil For Your Business? Ever since globalization came companies seek for better communication strategy and Translation in Tamil is exceedingly important to connect with wider audience. The language is being spoken by 120 Million people around the globe and It’s the oldest living language has implication before 500 BC. Other than this, it was also declared as classical language by UNESCO. Other than in Tamil state of India, it is also an official language in Singapore and Sri Lanka. • Helps in Communicating: People will buy your products only when it is accurately adapted as per Tamil audiences. By taking advantage of professional Tamil Translation Services providers one can bridge communication gap and make your product available to many. • Finding Out Suitable Product To Launch: Other than this, translation greatly serves in accurate analysis of market through well adapted survey and questionnaire material. This further leads to better question and answer session to generate correct data. These data can be used for better market research and finding profitable region or product to sell more. It easily helps in finding the demand of market. How To Choose Tamil Translation For Your Project? • Why Do You Need Translation? First analyze whether you need translation for yourself or fir your company. Then analyze the seriousness of your project i.e. terminologies, language, purpose, research and many more. • Do You Need Temporary Based Or Permanent Based Translation? If your project if for one time then you need a temporary based translation and in that case freelance translation is recommended. But if your project is likely to repeat such as in case of promotion or broacher then make sure that you enroll with full time translation agency for faster turnaround time. • Do You Need skilled Translator? The importance skilled translators arises when documents is kind of technical. In that case the need of proficient one arises because you can risk your project to someone that doesn’t understand your terminologies. There are several types of translation in market as you need to choose appropriate one as per your demand. • Freelance Translation: There are several website from where you can hire translator on short-term basis for your legal, business or any other purposes. They are basically an independent talented people that are not associated to any organization. • Translation Agency: It is a group of diverse translators under one roof that serves organization on continuous basis. They take the responsibility and make sure that your entire documents are being conveyed accurately as per standard. • Subject Related Translation: There is some type of translation that requires certification to prove that you can handle specific projects. Finest example could be- literature, medical, scientific, etc. Are you the business to prefer to make meaningful communication through translation? At present, it has became a famous mantra to most of the global business and several startups are becoming successful because this. It extremely helps in generating more sales and maintains personal level touch with clients. Hope you are having a nice day, my name is Manju verma and I believe spreading updated knowledge of translation industry. It is my passion and love that made me success in this creative field. I love exploring new horizon of cultures, languages and traditions that made me write detail articles.